What Has Poli Sci Ever Done For Me? Why wouldn’t anyone favor money for cancer research and tuition assistance for service members, and take it from funding for the National Science Foundation which involves political science research? Wasn’t that research into the correlation between democracies and war enough of a bribe? No, according to Tom Coburn. Why? Who knows. 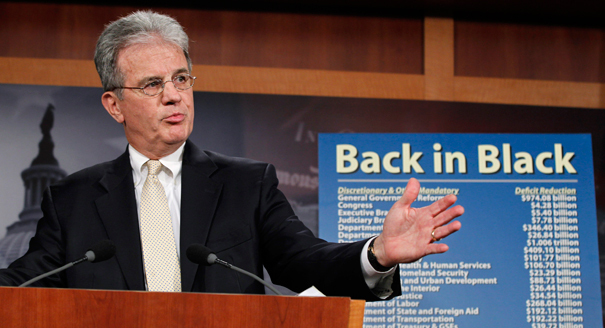 Sen. Tom Coburn has been on an anti-political science kick for years for no real discernible reason. “Theories on political behavior,” he said a few years ago, “are best left to CNN, pollsters, pundits, historians, candidates, political parties, and the voters, rather than being funded out of taxpayers’ wallets.” That makes no sense, but that’s his reason, and it’s no surprise that he’s continued his jihad. What is a surprise is that he managed to get a bunch of Democrats to tag along with him on this go-around. Honestly, I can live with a Republican party with Matt Lewis in it. 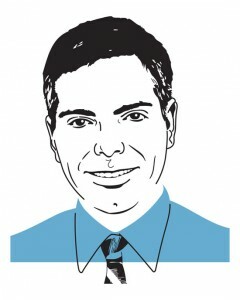 Even, Matt Lewis the social conservative. Regardless of the framing, it’s still tantamount to a surrender. And it occurs to me there are two fundamental reasons for this rapid shift. I don’t care if the Republican party needs an African-American, to make it look less racist than the Democratic coalition, but Colin Powell is persona non grata. Joe Scarborough’s general argument is a good one, just ditch Powell’s participation in it. I will never forgive him for his shameful performance at the United Nations on February 5, 2003. 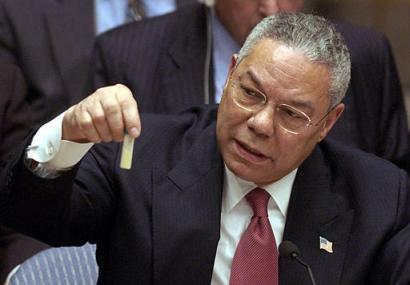 Democracy Now‘s Aaron Mate and Amy Goodman interviewed Colonel Lawrence Wilkerson, chief of staff to former Secretary of State Colin Powell from 2002 to 2005, about the process that led to this debacle. AMY GOODMAN: How did you—where did the information come from? Explain how you did put this together. COL. LAWRENCE WILKERSON: The information came from, in our intelligence system at the time, the 16 entities that compose our intelligence services, and spoken for by the then-master of that intelligence community, George Tenet, the director of Central Intelligence, and vouchsafed multiple times by his deputy, the DDCI, John McLaughlin. But it came from a much wider array, Amy. It came from Israel. It came from France. It came from Jordan. It came from Germany. Indeed, it came from almost every intelligence service that, at one time or another, had fed into the U.S. process with regard to Iraq. And frankly, we were all wrong. Was the intelligence politicized in addition to being wrong at its roots? Absolutely. And the leader of that politicization was the vice president of the United States, Richard Cheney.